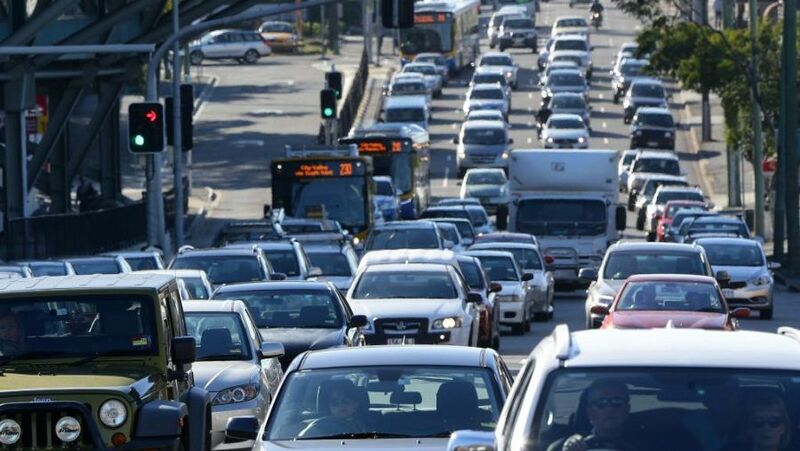 BRISBANE’S traditional morning peak hour has gradually spread to more than four hours over the past few years, in a phenomenon experts have dubbed peak-spreading. RACQ data shows that traffic congestion on most major highways leading into the city have gradually increased over the past almost 10 years, with more motorists leaving by 5am then ever before. Griffith University travel behaviour researcher, Associate Professor Matthew Burke, said in order to avoid the traditional morning peak travel time of 7am to 8.30am, many motorists were now leaving home between 4am and 5am, with population growth and flexible work times contributing factors. “Over time there has been a steady shift in work practices, most obviously with the tradies, but also a lot of industrial work places and others now have a start time of 7am,” he said. “Plus the public service now has a good flexibility for office workers. “Flexi-time wasn’t offered 20 years ago and, if it wasn’t for population growth, we would not have congestion to Brisbane. Prof Burke said other factors that contributed to peak-spreading over the past decade included tradesmen travelling long distances to reach their jobs, infrastructure failing to keep up with demand, or a lack of public transport in many of the outlying suburbs, rendering them car-dependent. Kate Thomas, 40, from the outlying suburb of Mt Crosby, said she had noticed an increase in traffic since 2014, when she first started having to leave early for work. “It’s like peak hour traffic at 5am sometimes on the Western Freeway and then Moggill Rd. It’s phenomenal,” she said. The flight attendant leaves home between 4am and 4.30am to drive to the airport for shifts. She said it can take between 45 minutes to an hour and a half to arrive at work, which was only slightly shorter time than her drive home. “Our issue is we have no public transport, no buses or trains out here,” she said. “And there’s a lot more houses being built in the suburb before us, but not so much in our suburb. On the Pacific Motorway at Underwood in Logan alone, the RACQ data shows that traffic at 4am had increased from 1044 vehicles in 2007 to 2819 at the same time in 2016. By 5am in 2007, 4323 vehicles were on the road compared with 5497 last year, while there were 5622 at 6am nine years ago compared with 5497 last year. Semi-trailer driver Jason Tyrer, 44, of Numinbah Valley, said he had noticed the increase in traffic over the past few years, especially while driving on the M1 north through Logan, right up until the Gateway merge where it then usually cleared. “There is a second morning peak hour now,” he said. “It can start as early as four or 4.30am, but has definitely started by 5am and gets quite heavy. “At 4am, there used to only be a ute and a motorbike as far as the eye could see. Now there’s additional traffic building. Mr Tyrer said early traffic mostly comprised tradies, truck drivers or cars with only one person in them. Although some of the major highways have widening projects earmarked, RACQ spokeswoman Renee Smith said they continued to call on the government to prioritise more transport infrastructure projects. “It’s fair to say there’s no such thing as a peak hour in Brisbane now,” she said. “Shoulder times such as 5am to 6am have seen a dramatic increase in the last few years.